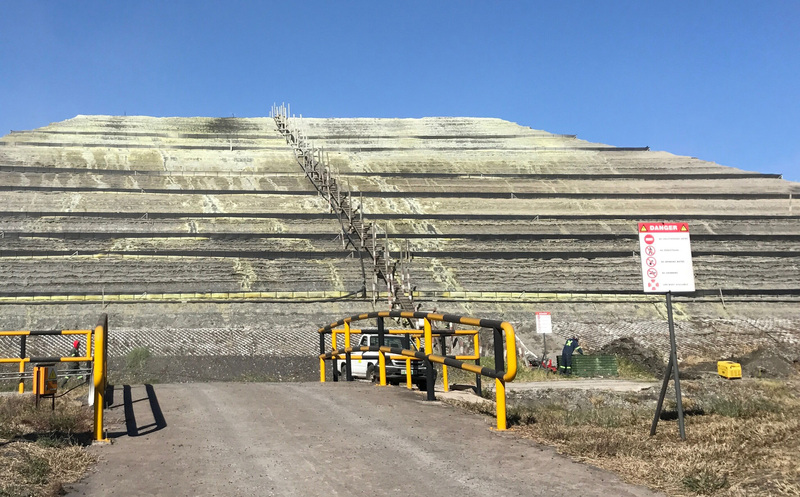 Geosynthetics experts at Fibertex South Africa, work closely with mine engineers throughout Africa, providing a critical solutions service, which is geared to minimising environmental threats and enhancing safety on mines. “The mining industry – which has become a major user of geosynthetic materials – recognises the value of utilising geosynthetic products for environmental protection. Typical applications for geosynthetics include mine tailings facilities, heap leach pads and water retention ponds. Geosynthetics are also used for mine closures, as well as for access roads and other geotechnical structures,” says Johnny Oriokot, Geotechnical Engineer, Fibertex SA. “Fibertex highly UV-stabilized 100% virgin Polypropylene (PP) geotextiles and geosynthetic solutions take the uncertainty and risk out of the design of crucial applications, like landfills, dams and tailings dams. “Geotextiles have advantages in installations where the cost of failure may be extreme, in both financial and environmental terms. Virgin Polypropylene (PP) offers a high level of chemical stability under a wide pH range and for this reason, Fibertex geotextiles are particularly well-suited for installation in areas where the textile may be in contact with alkaline conditions, for example in certain types of slimes dams and waste sites. “Fibertex geotextiles have important functions – for separation, filtration, drainage, protection and reinforcement. These materials can also act as a stress relieving waterproofing membrane when used with bitumen in road applications. Fibertex Greencells are highly-efficient cellular containment systems (geocells) which are used to stabilise structures like embankments, river profiles, sand dunes, base courses and drainage canals. Greencells are manufactured from alternatively stitched UV-stabilised, coated geotextile strips, to form a continuous honey-comb type square cellular mat. The geocell is then filled with concrete, or a variety of natural materials, like earth and gravel. The walls of this material are impermeable and can be perforated on request, with one side textured and the other side smooth. This lightweight, durable material has a high tensile strength of 25 kN/m. It is resistant to alkaline conditions and is easy to install. Geocells are beneficial in the mining industry as they provide a three-dimensional stabilisation structure, constraining the infill material from lateral movements, which in the slopes of tailings facilities, prevents erosion of surface material. In addition, geocells can be incorporated in access roads, as they ensure the use of the in-situ material, without excessive development of rutting. Fibertex Polytex silt fence geotextiles allow water to pass through the fabric, restricting the loss of important top soil particles. This material is used to retain sand and silt particles, keeping roads and highways free of mud and also protects lakes and streams from harmful silt build-up. Silt fences prevent the loss of material from tailings that would eventually clog up the drainage piping systems and channels. In addition, excessive loss of material from the slopes could potentially result in structural damage and collapse of the structure. Biodegradable geojute is used to aid in rehabilitation of old mining tailings structures and the re-vegetation of slopes that are susceptible to excessive erosion. 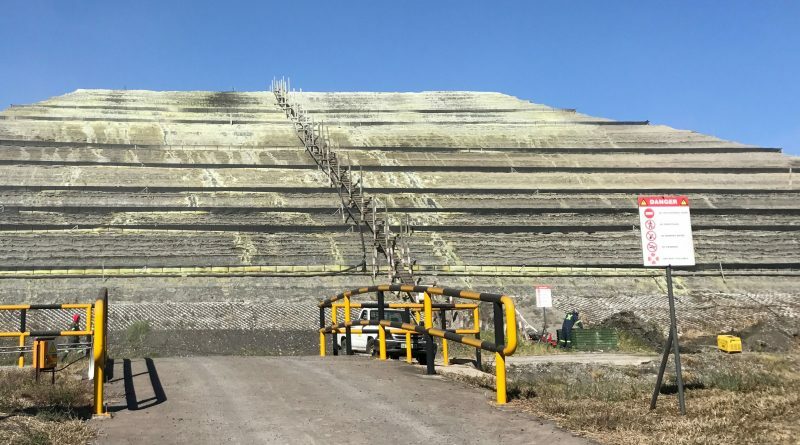 In this project, Fibertex geobags, manufactured from UV-stabilised woven PP geotextile materials, filled with the tailings, were incorporated alongside the access steps of the storage facility, to prevent scour erosion of the structures. The function of geobags is similar to silt fences, in holding solid particles back, thus preventing erosion. 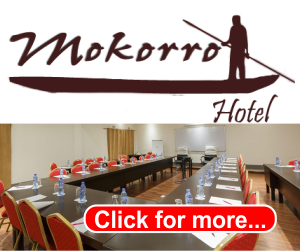 This environmentally-friendly system has advantages over conventional methods, which are often unaffordable to mining authorities and contractors with limited budgets. Benefits of using geobags include ease of operation, efficient retention of solids, compliance with environmental regulations and cost optimisation. Fibertex also manufactures flexible needle-punched nonwoven geosynthetic paving fabrics, for use in new road construction and maintenance. When used in conjunction with bitumen, the fabric acts as a water proofing layer, preventing the ingress of water into the pavement layers. It also inhibits the squeezing out of fines through cracks in the pavement surface and forms what is commonly referred to as a SAMI (stress alleviating membrane interlayer). This stress relieving fabric can also limit and absorb differential movements in road layers, preventing reflective cracking. This all simply translates to the prevention of pavement cracking, which in turn inhibits the formation of potholes in roads. The Fibertex KwaZulu-Natal manufacturing facility – one of eight Fibertex factories worldwide – produces an extensive range of nonwoven geosynthetic products, in line with stringent international and local quality, safety and environmental specifications. This plant has successfully completed a rigorous audit and is now certified to ISO 9001:2015 requirements. Fibertex SA was awarded the coveted CE marking in 2016 – a mandatory certification for products sold within the European Economic Area (EEA), with certain products being certified to exceed 100 years durability. The Fibertex geosynthetics range encompasses nonwoven and woven geotextiles, gabions and mattresses, drainage pipes, erosion control and cellular confinement solutions. The company also supplies soil reinforcing products, including geogrids and geocells, as well as geosynthetic clay liners as part of composite lining systems in modern landfills. These woven and nonwoven geotextiles play an important role in diverse sectors, including mining, civil engineering, construction, waste and environmental fields. The company also offers solutions to automotive, filtration, furniture and flooring industries. 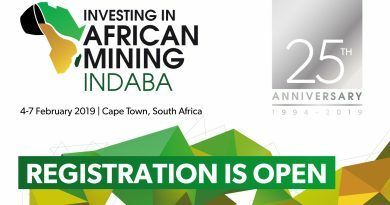 The company’s continued focus on quality and a commitment to meeting exact customer needs, has led to significant expansion of business operations, particularly in the mining sector. Global support guarantees the edge on product design, impeccable manufacturing standards, cost efficiency, safety and reliability of every material.